Woven poly tablecloths and napkins enhance any occasion with decorative style. Exquisite woven poly tablecloths are suitable for all events, from basic hospitality to a formal institutional dinner. For a finishing touch of sophisticated style, set your tables with coordinating napkins. 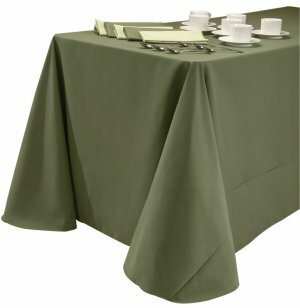 Sewn from hard-wearing woven polyester fabric, these tablecloths are durable and naturally stain-resistant. Clean-up is a breeze with fully machine-washable and tumble-dry fabric. 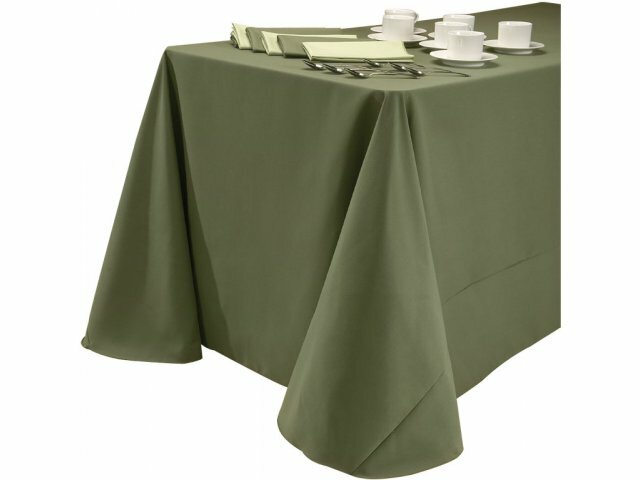 In a diverse selection of rich colors and sizes, these tablecloths will dress up any event. Easy Care: Tablecloths are machine-washable and tumble-dry. Woven polyester fabric is stain-resistant, allowing you to enjoy your event without worrying about the mess. Hard-wearing: Strong fabric tablecloths will drape your tables gracefully even after years of repeat laundering and tough use. Material is shrink resistant, and no-fade. Tablecloth material meets requirements of NFPA 701 Test Method 1 (Flame Propagation of Textiles).